Calling all eco-friendly brides and grooms in Chicago’s west suburbs! Consider the gorgeous Hotel Arista in Naperville, Illinois at the new CityGate Center located off of 1-88 and Route 59 to host your DREAM WEDDING. Arista is a stunning, contemporary boutique venue which hosts ultra-sophisticated events and elegant wedding banquet functions. Arista boasts not only LEED Certification, but the Green Seal TM Certification as well (currently one of only 16 Hotels in the State of Illinois). The Hotel Arista has wedding planners on site, white-glove service from start to finish and can accommodate receptions up to 350 guests. Exquisite staff and on-site chefs will impress guests and make your day unforgettable. Spa packages and services available for the bride and groom, wedding party or guests (luxurious massage, facial, manicure, pedicure, body scrubs, tanning, slimming contour wrap treatments available). Other hotel amenities include WiFi, iPod docking stations, security safe, iron, in-room mini-bar and snack area, coffee maker, soaking tubs. Plus, the DuPage Airport is just minutes away, should your private jet need a place to land for planned events at Arista. The feasting table (or King’s Table) setup at your special event or wedding is a recent trend, likely stemming from the desire to have a more intimate dinner party table setup similar to a Thanksgiving gathering in dining room at home, with a hint of grand style. 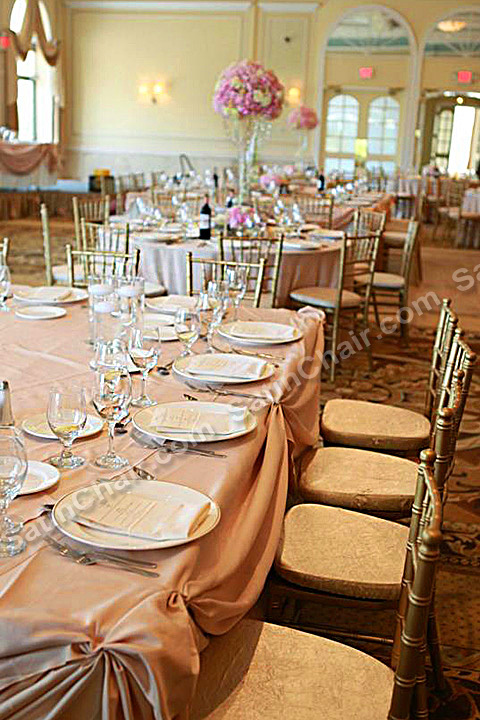 Some banquet facilities have such tables, in other instances, rectangular tables are rented. 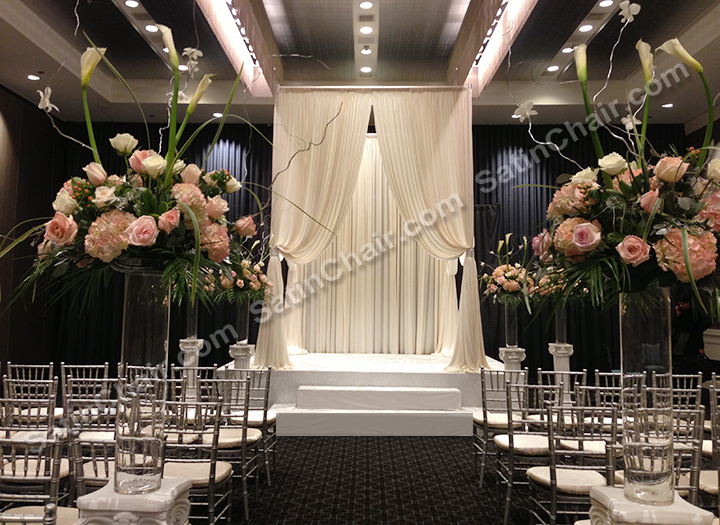 The idea provides for a far different look than the standard round guest table arrangement. 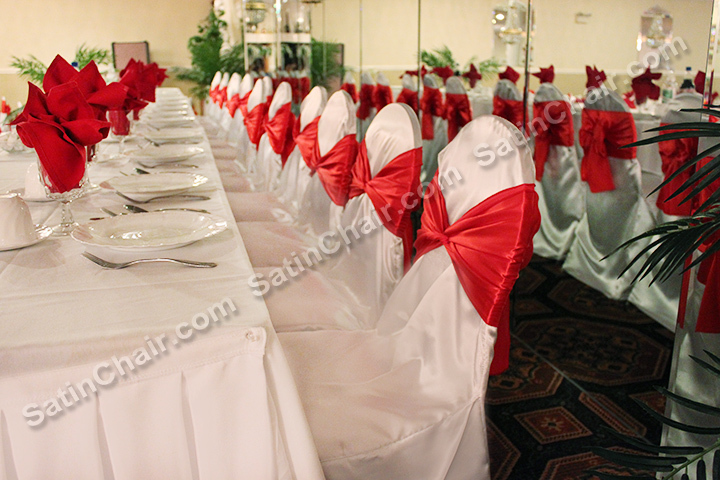 It also allows your bridesmaids and groomsmen to sit with their dates, spouses (less isolated for guests). It’s especially apropos for a Medieval Times theme event! It’s recommended to have tables at least 48 inches wide (6 or 8 feet long), in order to accommodate the place settings, charger plates, stemware, smaller sized centerpieces preferably six or less inches wide. When you’re deciding how many guests to seat for the length of the table, a two feet or more per person guideline is typically followed. The Feasting table provides ideal conversation distance, so your guests can more easily hear one another. 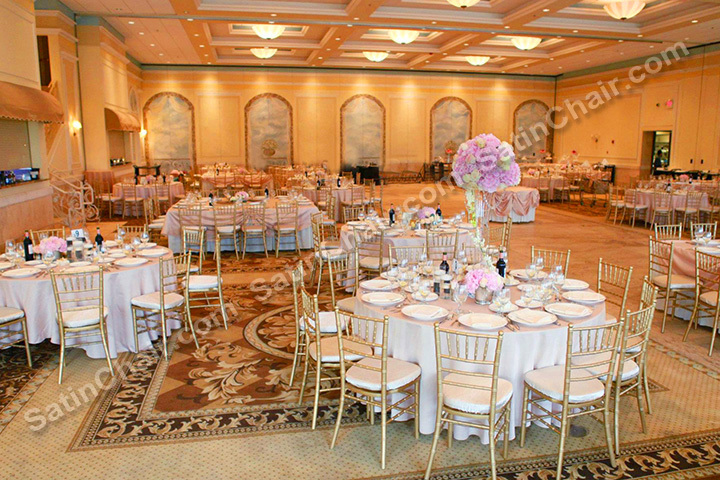 It’s entirely up to you, whether to use a seating chart or have guests sit where they choose. 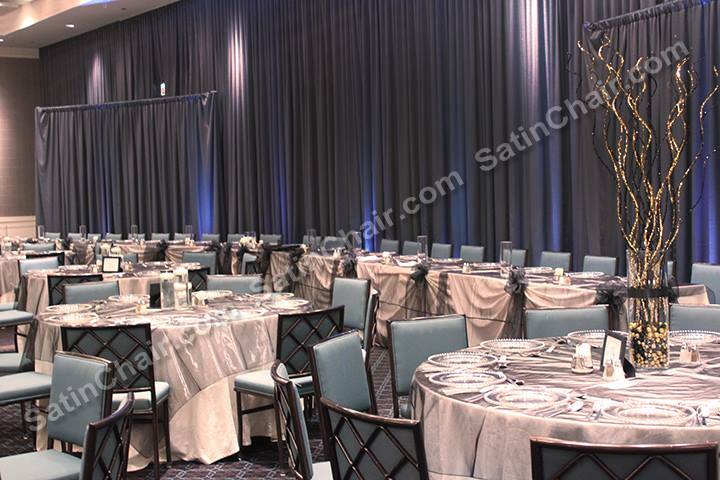 The overall, long tables setup is stunning, especially when accented with fabric Runners in luxurious taffeta, satin organza or a cascade of flower petals or colorful floral blooms trailing the length of the tables. 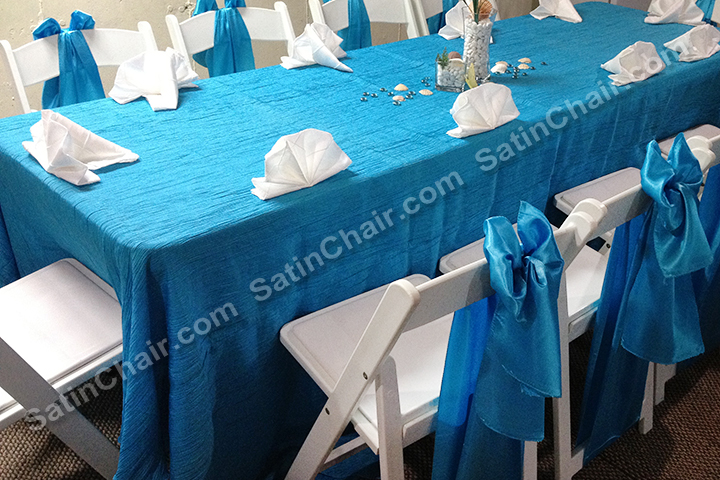 It’s a family-friendly setup that adds a comfortable note to your special event room. So the option is yours to ditch the head table concept and opt for a more intimate family and friends dinner. There’s just something about this setup that seems to mesh well, with two families coming together on your special day and THE official TOAST to the bride & groom! 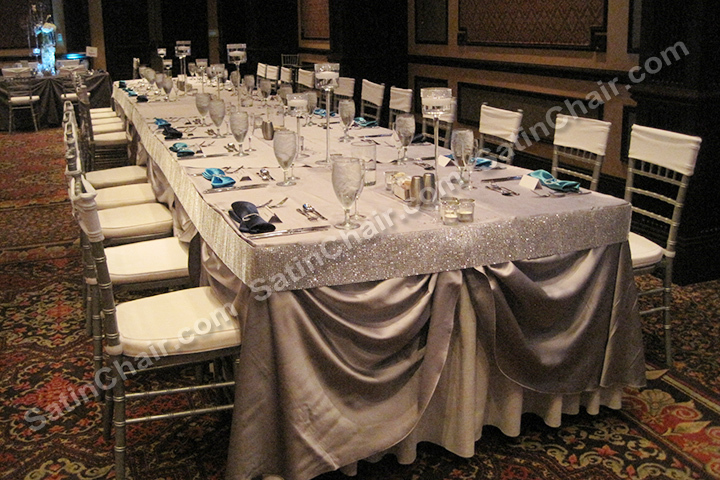 Satin Chair Covers Rental has many linens available for rent for the Feasting table in your event room. Having a feast for Kings & Queens? 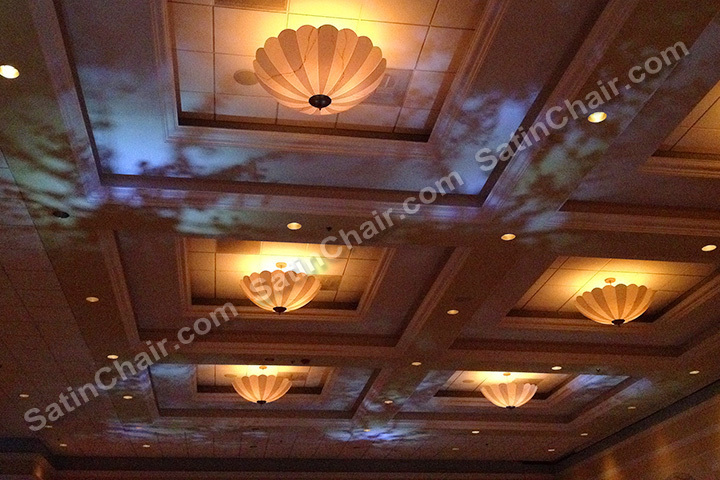 Visit SatinChair.com to view the ROYAL variety of event décor options! FREE Quote, click here. 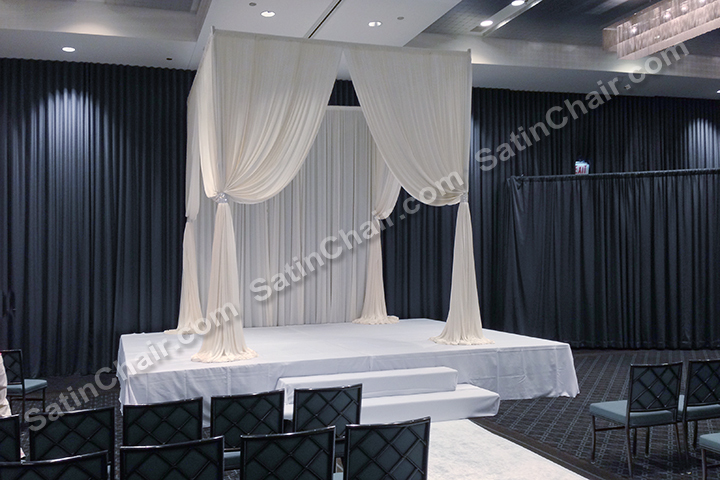 Chair covers, Chiavari Chairs, room lighting, backdrops also available for rent in Chicago, Oak Brook, Naperville, Joliet, Schaumburg, Wheeling, Rosemont, Ohare. We were so thrilled to be part of the new Steve Harvey TV show in Chicago and assist the beautiful bride and groom for their special event in the “Perfect Wedding” episode. Thanks to the entire crew and production team for the opportunity! 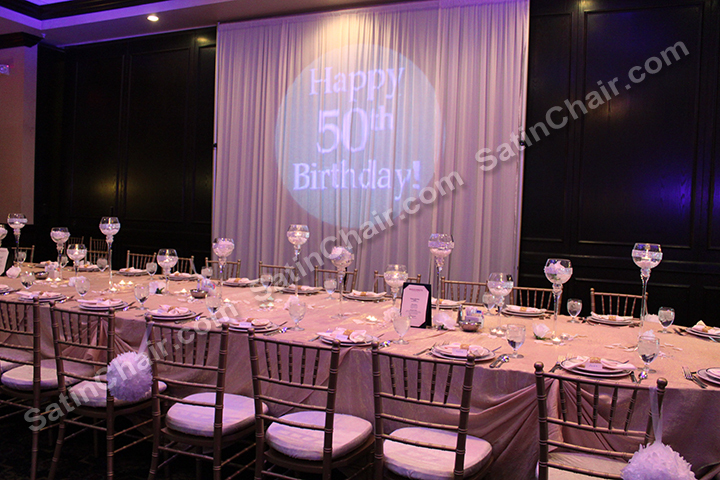 Our silver Chiavari chairs and fabric backdrops / room draping showed up particularly nice on camera! View the event photos and video clip from the aired episode here at this link http://www.steveharveytv.com/the-perfect-wedding/ David T., famous wedding planner to the stars, was in attendance as well! Exciting day on daytime television. Cheers to Shalita and Rayshawn! Here’s to many happy years together. 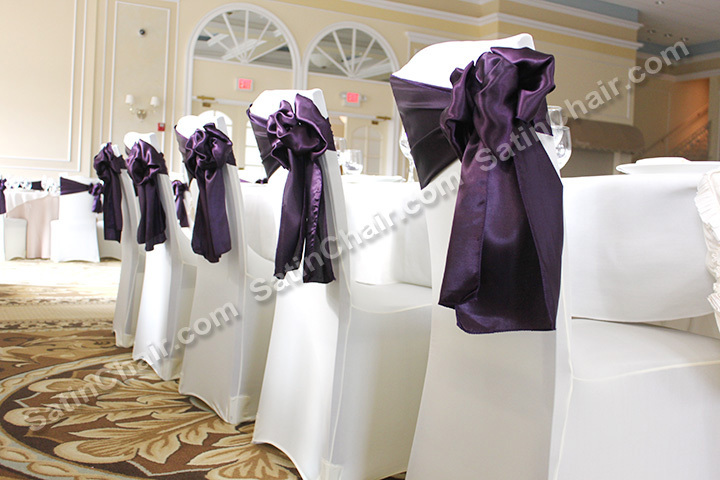 Contact Satin Chair Covers Rental and rent elegant and affordable wedding event decor. 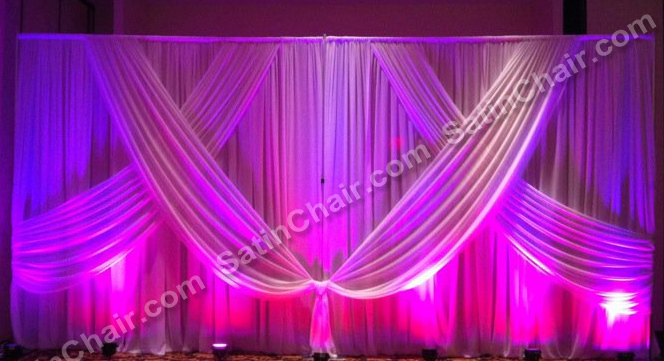 We rent Chair Covers, Lighting, Centerpieces, Linens, Chuppah Canopy, Stage Decor & More! 630-504-2009 in Chicago, Naperville, Rosemont, Oak Brook, Lisle, Schaumburg, Joliet, Kankakee, IL areas and suburbs. Place an L.E.D. battery operated tea light in each glass, and voila, instant light and ambience! They glow beautifully if you use vellum or light colored card stock. 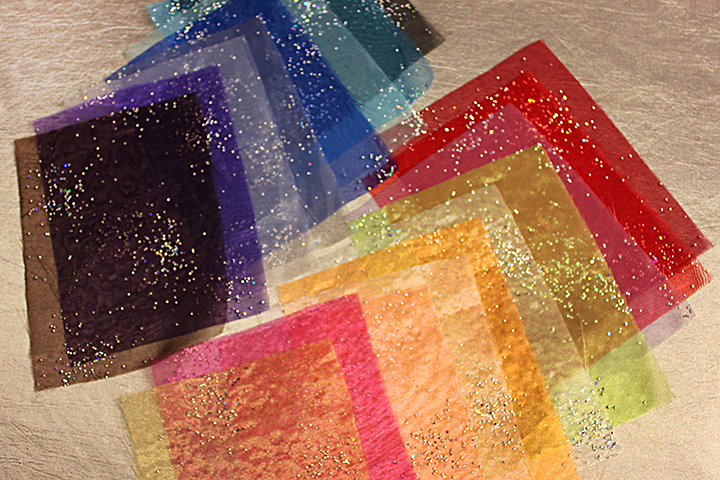 Use a colored vellum and instantly carry your color theme throughout the room. We’ve seen these lamp shade die cut pieces sold on some web sites 4 for $9, which is a little steep. Do it yourself and save money! 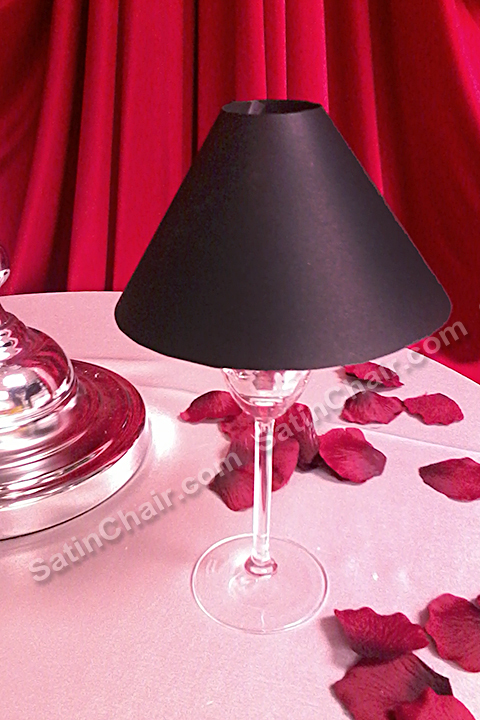 Our sample shown was done with plain black card stock without the L.E.D. light. Just as elegant! These would be just as fun to do for a home bridal shower, baby shower, birthday party. Paper crafts are great in a recession, as the supplies are affordable (cheap wins). Make them for a gift table, place card table or hors d’ oeuvres table. Impress your guests with your home made decoration! We’ve all seen the oh so common sign-in book for weddings (and the feather plume pen, of course). Why not opt for a different look. “Go Dutch,” and use a Wishing Tree near the entrance of your wedding reception. It’s an old Dutch wedding custom where each guest writes a short personal signed message for the bride & groom on a small paper tag or card and then hangs it on a branch of the Wishing Tree. We rent a gorgeous white or black Manzanita Tree which is perfect for such a plan. Shown here below. It makes a wonderful focal point at the entrance, and later the tags may be saved in a scrapbook or shoebox to preserve the memory for years to come. Tags may be made of card stock in the shape of a leaf, stars, birds (TWEET) or other incorporated theme shape. 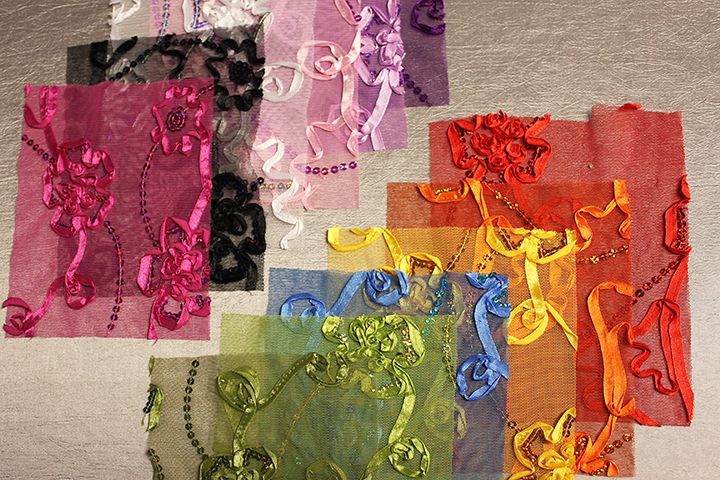 One can punch a hole in each and thread a ribbon through each one so it can easily be hung on a branch. Either seek out a friend or family member who owns a Cricut die cutting machine & have them cut tags for you or buy paper card tags online (or buy them from us)! Add Swarovski crystals (or crystal-like beads) to the branches for some added sparkle. 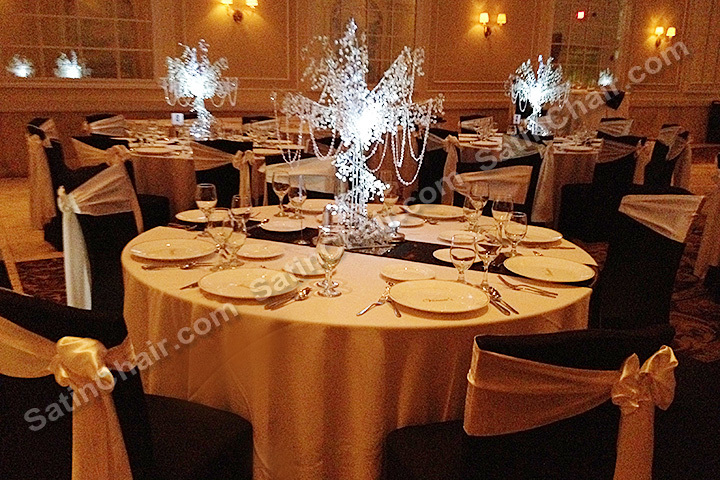 Intermix glitter ornaments which match the theme of your event. A winter event would look terrific with shiny snowflakes hanging on some of the branches. We’ve even seen this idea used in lieu of a place card table, where the bride & groom hang cards on the tree, indicating guest names and their respective guest table numbers. 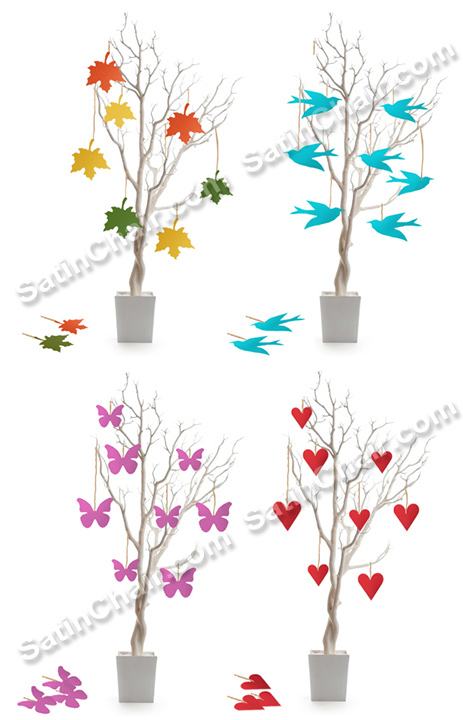 Trees could also hold small lightweight wedding favors for your guests arriving at your banquet function. Use these at wedding showers or baby shower too! 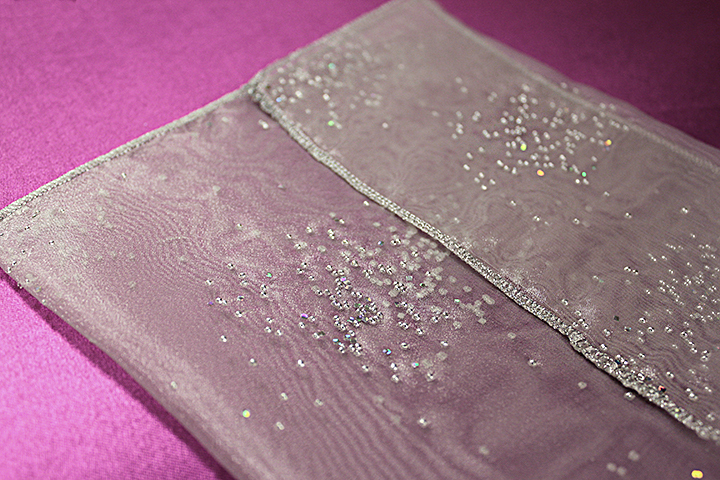 An idea for instant elegant impact, when sending out your wedding invitations… our custom GLITZ & GLAM fabric wedding invitation sleeve will impress guests! We offer them in a variety of sizes and fabrics to match your needs and style. Go minimal on the invitation itself and put a glamorous accessory jewel wrap around each invitation (before it’s handed out or mailed). Or you might choose to order these just for the special guests or bridal party girls, ladies (maid of honor). Each could be kept and used as a floral scented sachet by the recipients. One could do a plain, but sophisticated, panel card type wedding invitation and slip it into one of these knockout sleeves for a wonderfully unique look. 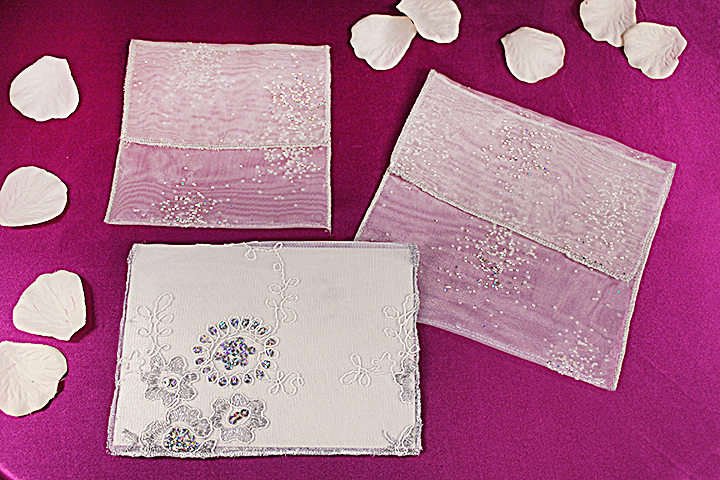 OR, use them to hold your banquet menu at each table place setting of the reception hall. Makes a great holiday gift too! 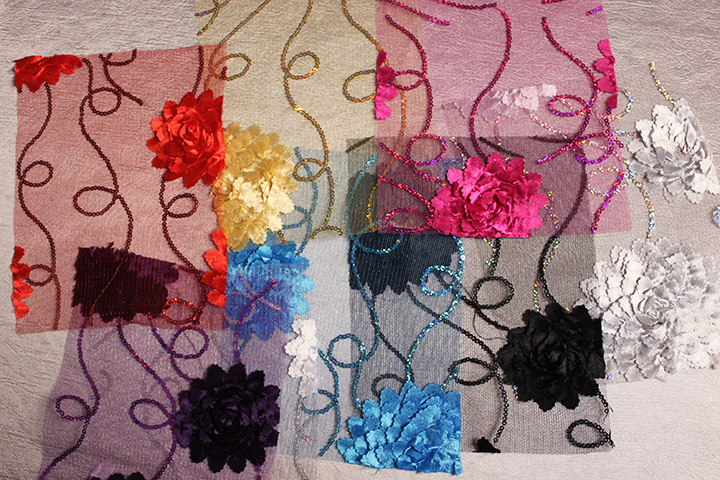 Here are just a few samples of the fabric selections we offer. All ends of the spectrum! Some of our sizes are listed below. Our fall 2012 prices start at $2 each, depending on size and measurements. 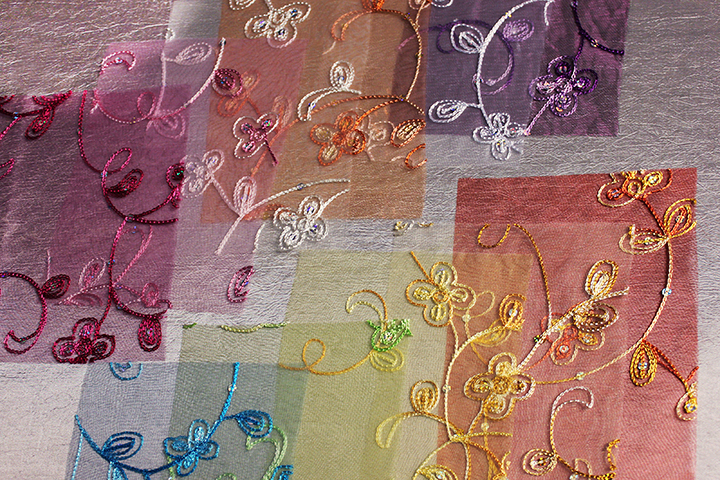 A stunning array of fabric choices, from fairytale sparkle beaded organza to tulle netting with ribbon accents to threaded chains of embroidered flowers to satin flowers of spring! 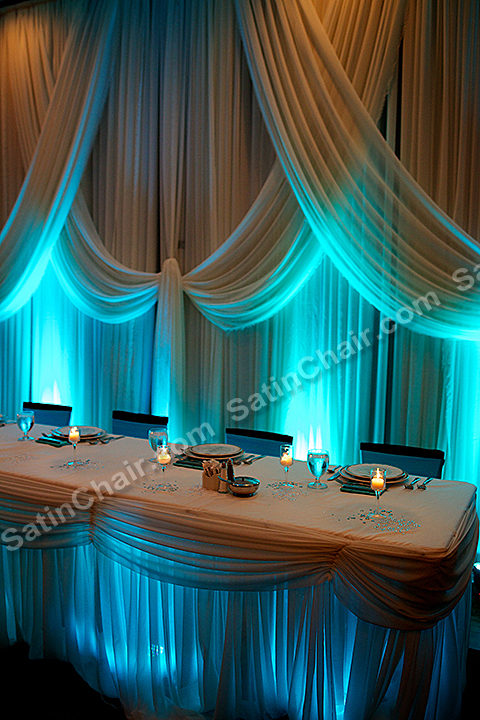 One of many custom options for bride & groom at SatinChair.com based in Chicago – Naperville (near O’Hare and Oak Brook, IL). If you’re a wedding or event planner, contact us for orders! 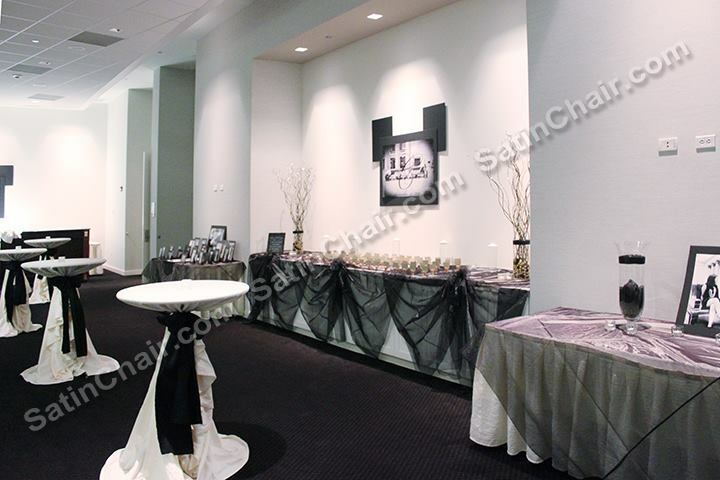 We have a talented team of event decor seamstresses to serve you. Each order is custom so we’ll need a few weeks to complete each order. Minimum quantity of 50. 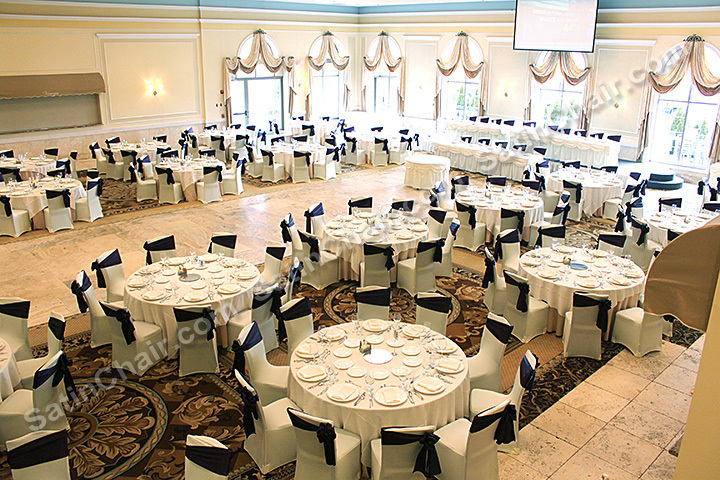 Venuti’s Ristorante and Banquets in Addison Illinois near Chicago O’Hare is a stunning event venue for just about any reception, celebration or private function and they can accommodate up to 1,000 guests, making it one of the largest in the area. 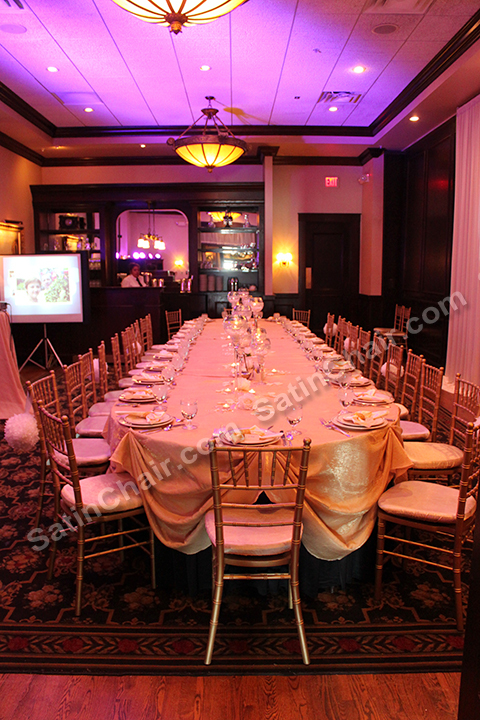 Their marble dance floor, fine dining menu and lush decor surroundings really put the exclamation mark on luxury.